Home Tags Posts tagged with "motown"
CAROLS & COCOA AT MOTOWN HITSVILLE USA! 8 PLACES TO FIND SMOKEY ROBINSON PERFORMING IN 2018! Here is Smokey Robinson’s latest tour schedule for 2018, he will keep you dancing in your seat! FOUR TOPS & TEMPTATIONS CONCERT AFTERMATH! The Four Tops and the Temptations can never go wrong when they perform . 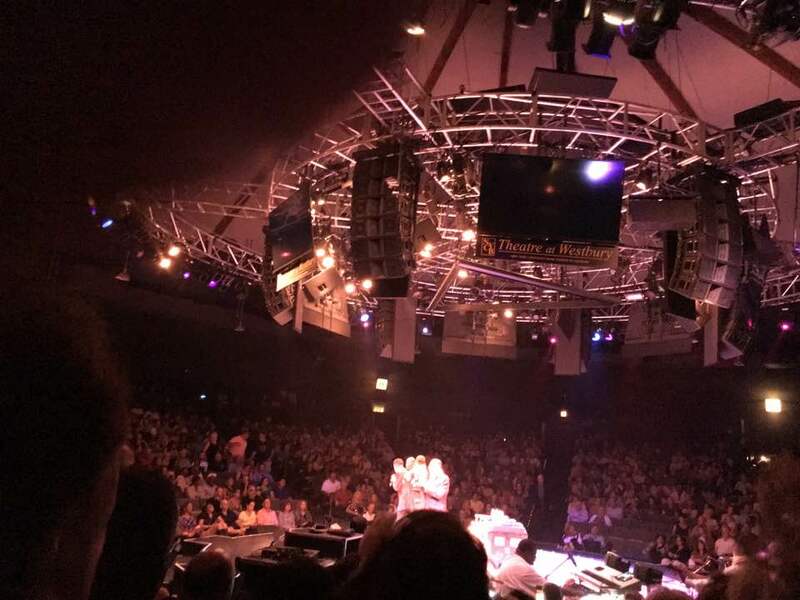 Their “Outstanding” performance on June 25th at the NYCB Theater @ Westbury was one of Euphoria . The Four Tops started off the show with some of their classic hits we all know and love. “Bernadette”, “Ain’t Know Woman”, “Keeper Of The Castle”, just to name a few. From beginning to end, the audience rarely stayed in their seats as the classics refused to dry up, hit after hit after hit. Even though, their original lead singer Levi Stubbs and the other 2 great Tops Obie Benson and Lawrence Payton are no longer here, they were definitely there in spirit and soul. It was great to see the original Founding Member Abdul “Duke ” Fakir. At age 80,still going strong and is the lone original remaining member. He has assembled a solid group (since the passing of Levi, Obie and Lawrence) and have proven themselves to be a legendary act. Their powerful lungs combined with the old Motown Flavor, the Four Tops puts it out there, ” to get love you have to give love. They do just that with their performances and the audience certainly could feel the love. The Temptations gave an energetic performance and as usual they were outstanding. Their soulful tribute to their fallen members left not a dry eye in the house. The audience enjoyed many of their old classics and some new. They engaged the audience in a lot of their hit songs and and left us wanting more & more. When they sang one of their many signature hits “Treat her like a Lady”. the Audience went wild, especially coming from an age group of 21 to about 80 years old. It was great watching how they could get the audience to sing along with them. Especially, when Otis Williams, one of the original Temptations performed. He bought down the house with his trademark baritone voice. The audience roared and for 74 years of age,Otis Williams not only looks good but he can still do the Temptation walk with such style and grace. The Temptations and The Four Tops pull it off again and that good old Motown feeling was still buzzing as we walked out into the night. 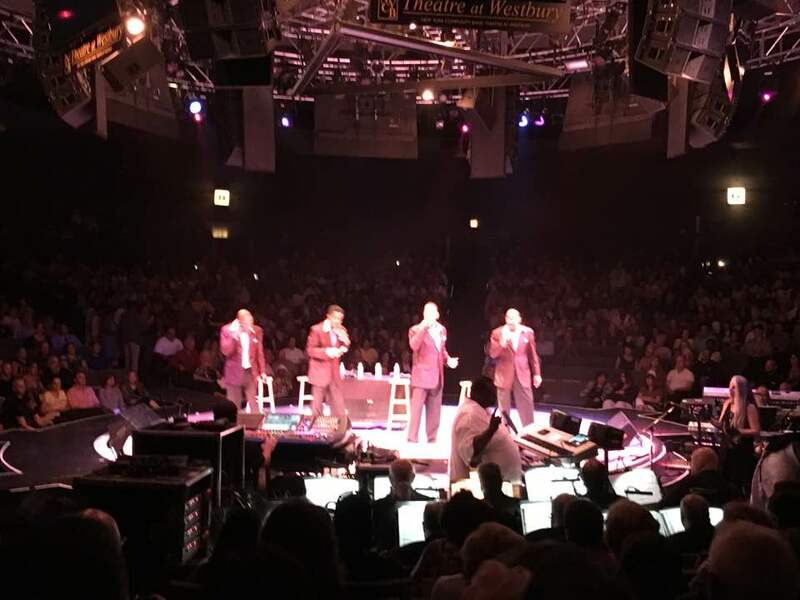 After seeing this show and watching the audience’s reaction to both groups,The Temptations and The Four Tops continue to entertain and give audiences that Motown harmony we all love. There is a time and a place for bringing back old music and wish that I could have seen them in the 60’s or early 70’s. I know it would have been a different experience. But, it was great experiencing this nostalgic show that brings back so many good memories audiences alike will continue to follow them. They are one of the Best. MOTOWN THE MUSICAL IS BACK ON BROADWAY ! Motown the Musical is back on Broadway starting July 12,2016 at the Nederlander Theatre. Motown the Musical is a must see dance in your seat , dance to the beat play about the birth of Berry Gordy’s Hitsville USA. The play transforms you back to the early 60’s when Motown’s legendary Artist come alive and create hit after hit.You will leave with a feeling of Euphoria and Exhilaration. So come on down to the most high spirited play on Broadway, you will be glad you did!